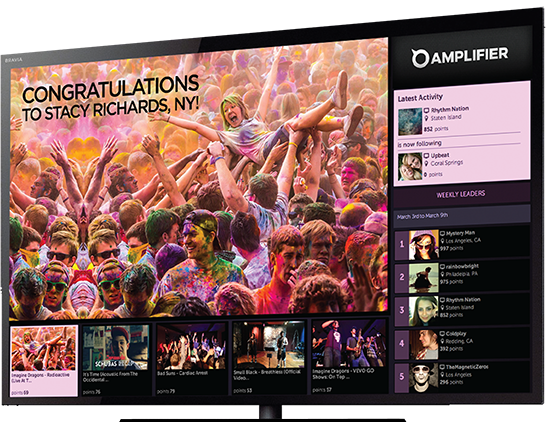 Amplifier uses the power of the crowd to amplify a brand's story by incentivizing fans to create and share campaign specific videos for the chance to earn rewards. Mobile, Tablet, Desktop and TV. The entire Amplifier Platform is completely customizable to match your brand aesthetic. 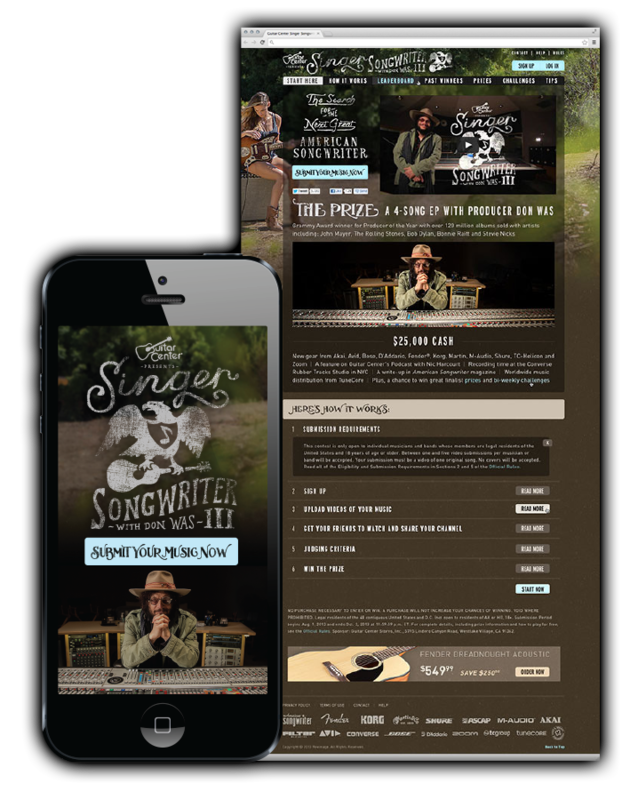 by working with our clients and producers to create a video-centric contest that will motivate fans to help tell a story or advocate a product. From there, the process is simple. Working closely with our clients, we create marketing assets designed to target the right demographic groups and encourage them to act. At the heart of any successful campaign is the prizing. Engagement and virility are best achieved through smart, meaningful incentives. The right motivation will make even passive fans more likely to engage. Empower your biggest fans to become your Brand Ambassadors. The only way a fan can win the contest is to get as many of their friends to watch and share their videos as possible. 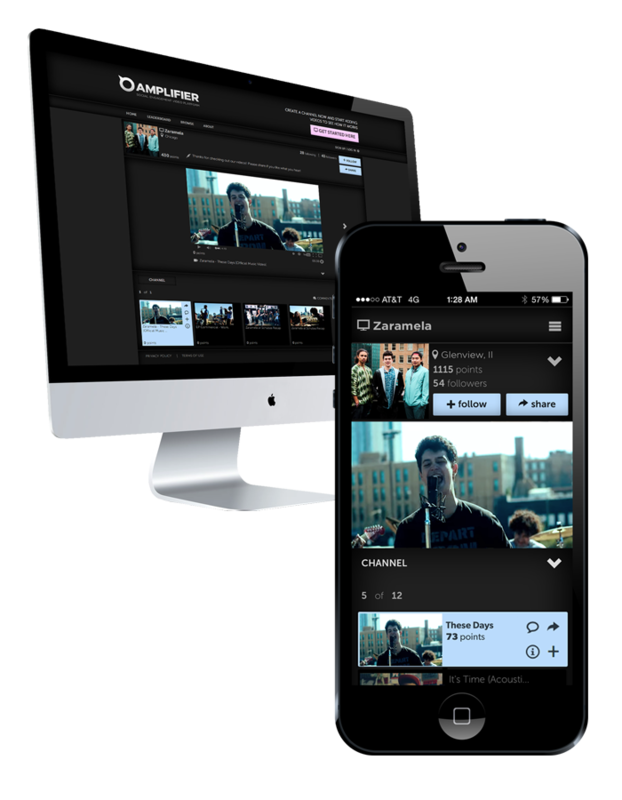 The Amplifier platform makes sharing contest videos simple. And because the platform allows each video to include client and contest-specific messaging, each view becomes an additional marketing/call to action opportunity. 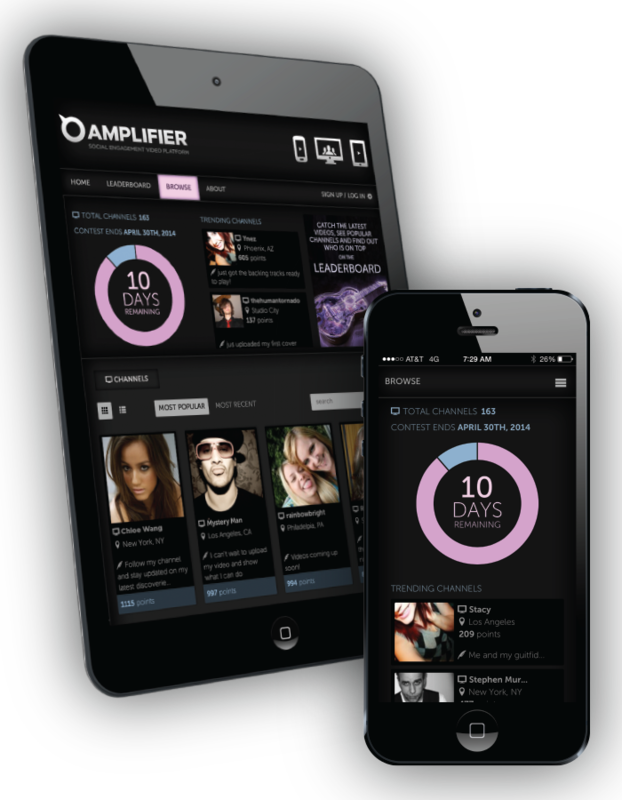 Amplifier's proprietary tracking algorithm measures a video's activity and determines which content is having the most impact. The resulting data can not only be utilized to determine winners of the contest but can also reveal critical trends, consumer sentiment and resonances. Create Millions of Impressions by providing simple incentives. Amplifier campaigns have generated tens of millions of impressions for our clients. 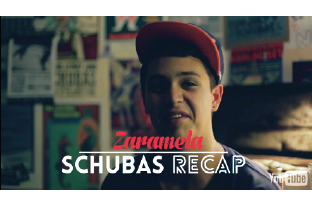 Each one of these impressions was garnered by a fan who created a video(s) and shared it with their friends. Rewarding those fans with incredible prizes, national recognition and life-changing opportunities not only fulfills the promise of the contest, it creates valuable brand equity among all those that took part. Increase Brand Equity by giving back to your fans.